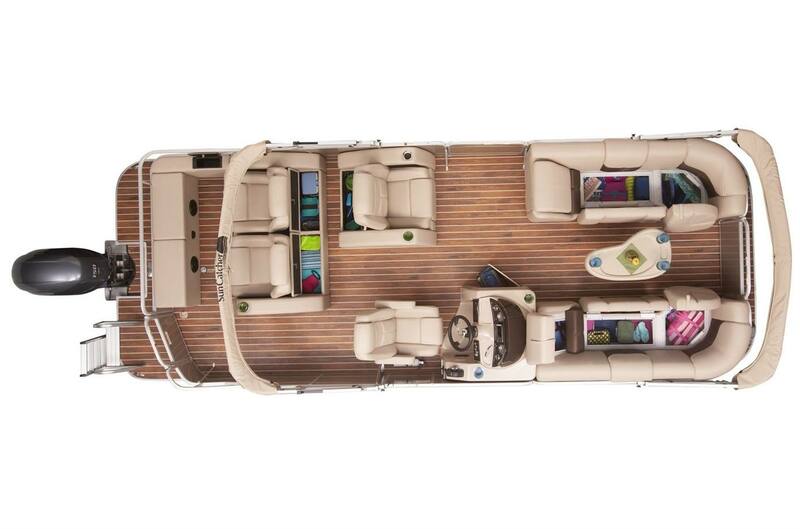 Luxury from bow to stern. 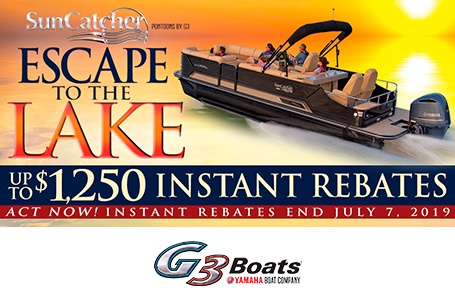 The SunCatcher X24 RS provides the comfort of home with on-water adventure. Ski, swim, cruise, or just cove out and relax. 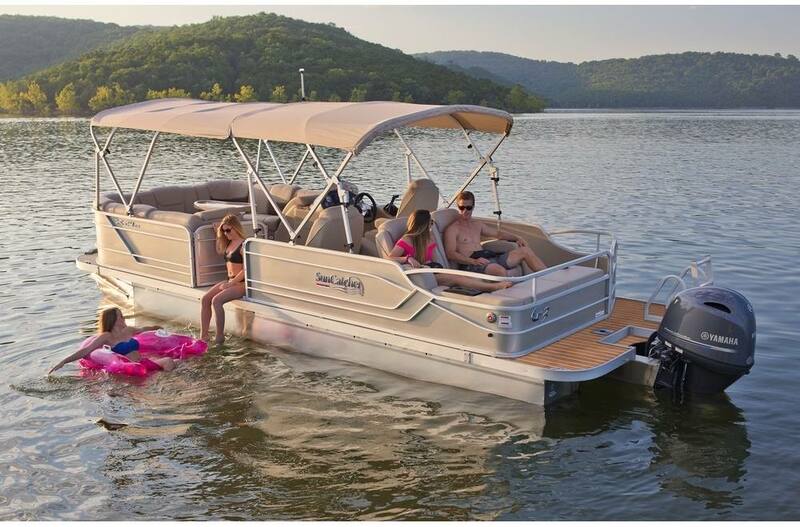 It's your call with this versatile pontoon. 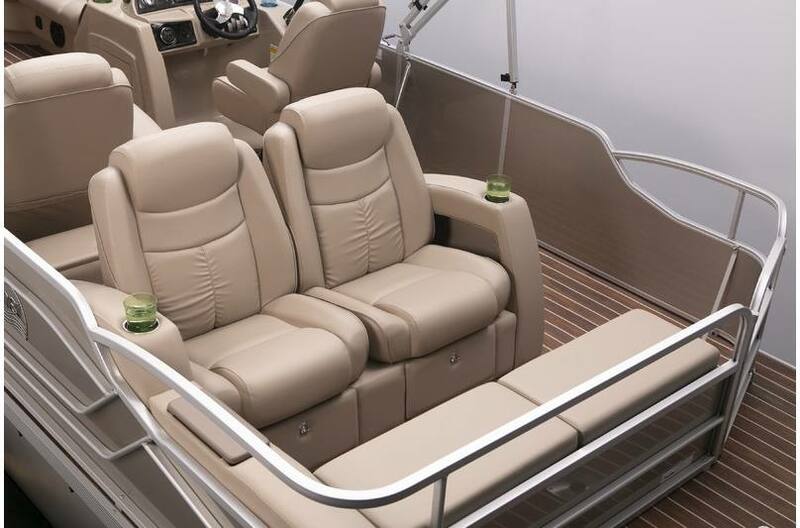 But be prepared, once you're watching the sunset in the comfort of the plush stern seating, you're not likely to move. So relax and enjoy...the name says it all...SunCatcher. Two contoured lounge chairs provide a comfortable area to relax. They both have storage and cup holders to keep necessities within reach. 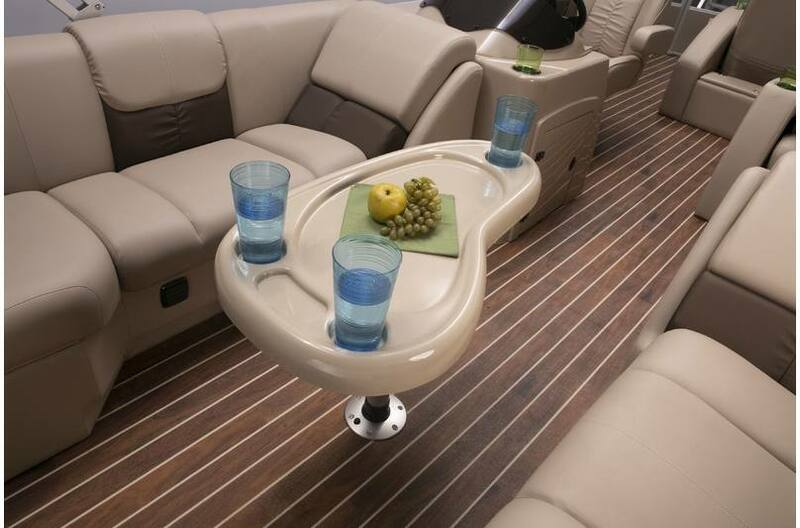 Standard pedestal table sports deep cup-holders, molded lip for quick clean up from spills, and recessed area for sunglasses or cell phone. 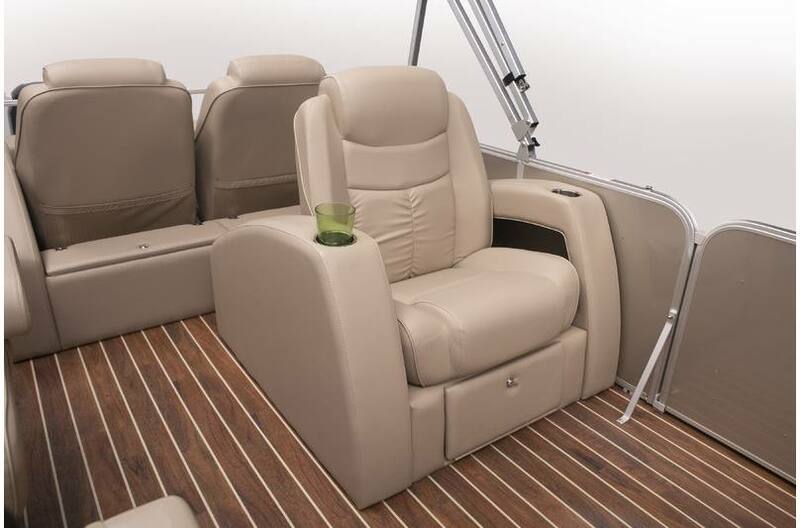 Plush lounge chair has storage that doubles as a footrest, and conveniently stows under the recliner. 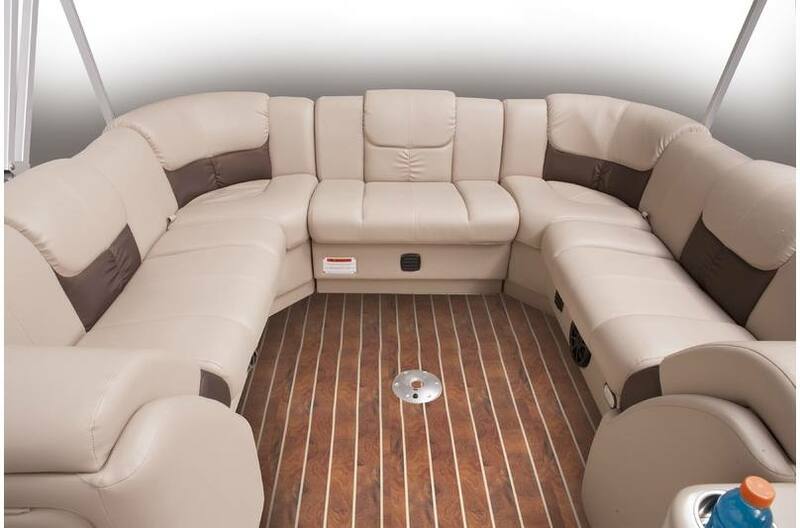 Optional bow couch insert completes the total "wrap-around" seating in the bow. This is one of the most popular options in the SunCatcher line. 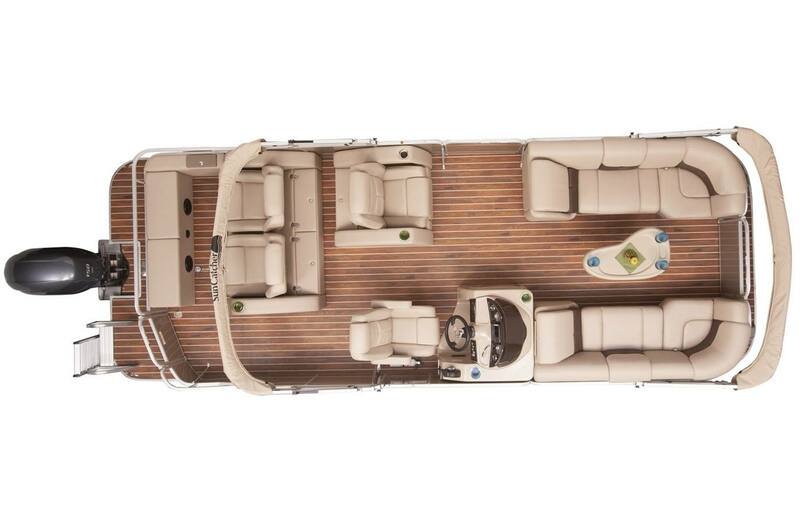 Deck Length: 23 ft. 11 in. Dry Hull Weight: 2360 lb. Max Weight Cap: 2250 lb.